The closing of the fifth month of the year indicates that school is out for summer. Summer break equates freedom – freedom from alarm clocks, textbooks, rules, and homework. Summer symbolizes playing outside, swimming in the pool, relaxing in the sun, lounging on patios, and soaking up cool summer nights. After being cooped up for months in hibernation, it is time to come out of the dark cave we have been living in, stretch our legs, and breathe in fresh air. My sweet six-year-old niece Madison knows the importance of summer. She jumped at the chance to plan her summer in detail. 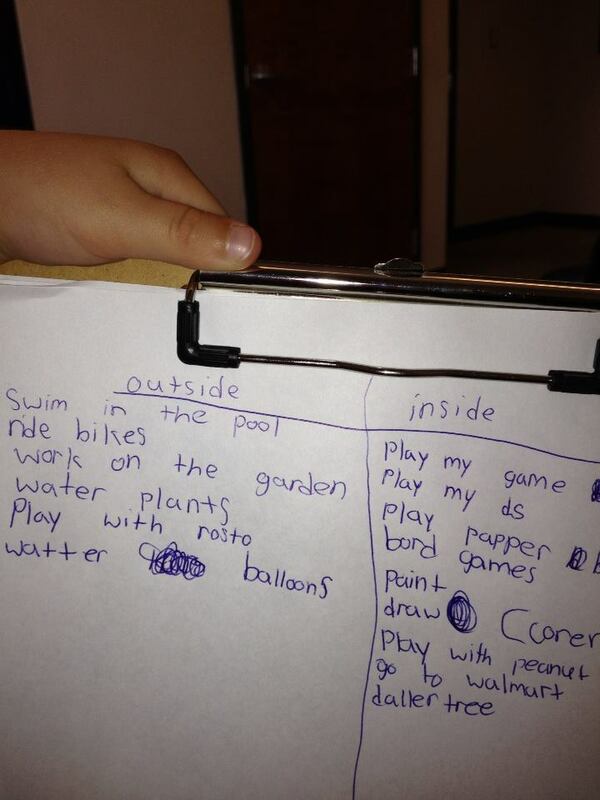 She mapped out her to-do list by what she wanted to do outside and what she wanted to do inside. That list is so sweet, so pure, and innocent. It brings tears to my eyes just reading it. When I first saw this list, I screamed “NO!! !” Actually, it was more like a reenactment of Joan Crawford’s tirade in Mommy Dearest when she discovered Christina was using wire hangers. “NO WIRE HANGERS!” Part of my soul commends here for her level of detail as I am a planner myself. I love order, I crave it actually. The other part of my soul cries “not her too”. She has fallen victim to lists, just like me. There is something so satisfying about checking something off the list. The clicking sound of the pen, and the crinkly sound the paper makes as they meet for the first time as words are crossed off the page. It sends a surge of satisfaction through me. Another task completed. Another day controlled. Buy shampoo and toothpaste at Target. Book my travel for my work conference. Pick up bananas and eggs at the grocery store. Never let anyone hurt me again. Pack a bathing suit and sunscreen for the weekend trip to the lake. Lists provide structure and organization, keep us grounded and productive, and exhibit a sense of control. However, they leave little room for spontaneity and random encounters of happiness along the way. If we are not careful, our nose will be so buried in them we will forget to look up and around at the world swiftly passing us by. We lose sight on what is really important – the granular details that cannot be captured on paper. God has been heavily dealing with me and my lists – meeting my husband, publishing my book, and moving up the corporate ladder. My focus has been down and not up and on the what and not the who. I forget that God is in control and He already has everything mapped out so perfectly. I’m so focused on checking something off my list, that I forget to just be. We complicate life with our lists and our plans, but it is really simple after all. “Delight yourself in the Lord, and he will give you the desires of your heart.” – Psalm 37:4. He knows our lists. He actually authored them. How awesome and magical would life be if we simply handed over the pen? 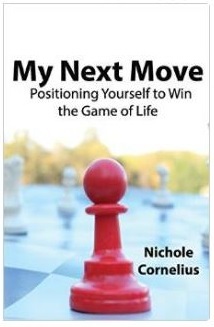 What if we ceased striving, let go of our lists, and let life unfold organically?